Bali is a name of one of provinces in Indonesia, and also a name of the biggest island which become part of Bali province. 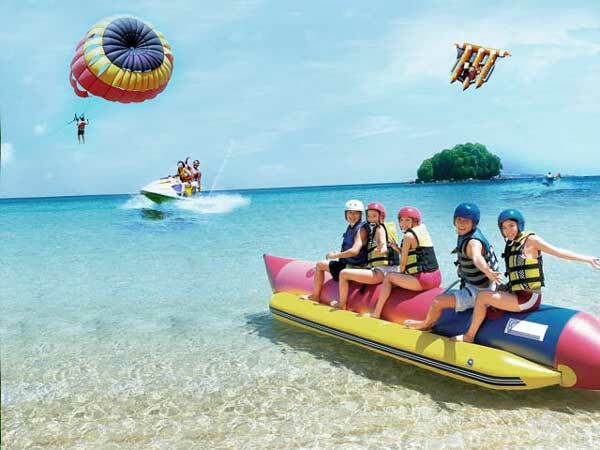 Beside consist of Bali island, the area of Bali province also consist of some small islands such as Nusa Penida, Nusa Lembongan, Nusa Ceningan, and Serangan Island. Bali located between Java and Lombok island. The capital is Denpasar city which is in the south side of the island and the majority people of Bali is Hindu people. Bali is famous world widely specially for Japan and Australia tourists as tourism destination due to its unique art and culture and also nature. It’s also known as Island of God, and Island of Thousand Temple. 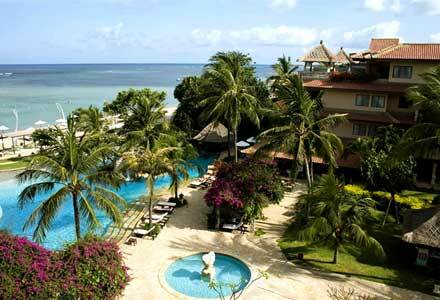 Bali island is a part of Small Sunda archipelago with 153 km length and width 112 km, about 3,2 km far from Java island. Bali has tropical weather like any other areas in Indonesia. Bali Indonesia has four lakes which are located in mountain area, they are Beratan or Bedugul, Buyan, Tamblingan and Batur lake. The beauty of Bali natural panorama, has made Bali as a highly interested tourism destination by many tourists, local or foreign. Bali’s capital is Denpasar city. Other important places in Bali are Ubud as a center of art and relaxation which located in Gianyar district, while Bali beaches such as Kuta beach, Sanur, Seminyak, Jimbaran, and Nusa Dua are places which become tourism destination, either its beach tourism, relaxation place, spa, or others. Bali people numbers around 4 million people, with majority 92,3% of it is Hindu people. The rest is Buddha, Islam, Christian, and Catholic. Islam is the biggest minority religion in Bali with only 5-7,2%. Besides from tourism sector, Bali people also live from farming and fishery field. The world’s most famous thing from Bali’s farming sector is subak system. While the rest choose to be artist. 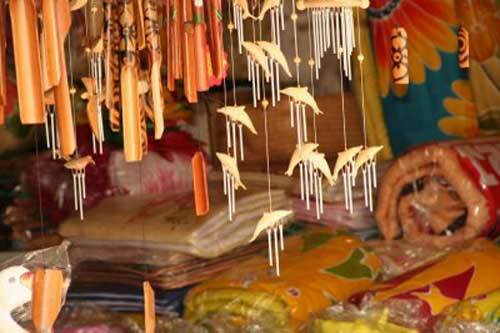 The language used in Bali is Bali language (local native language) and Indonesian language. As any other Indonesian people, most Balinese is bilingual or trilingual people. In some places of Bali, people also speak in java language. English is the third language (and the main foreign language) for many Balinese people, which is influenced by the massive need from tourism industry. Japan language is also a priority in Bali. 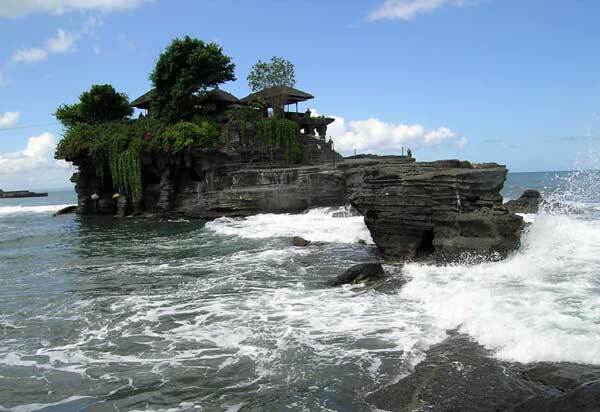 If you’re visiting Bali, the ‘must visited’ places are Kuta and Sanur beach, Tanah Lot, and Nusa Dua. 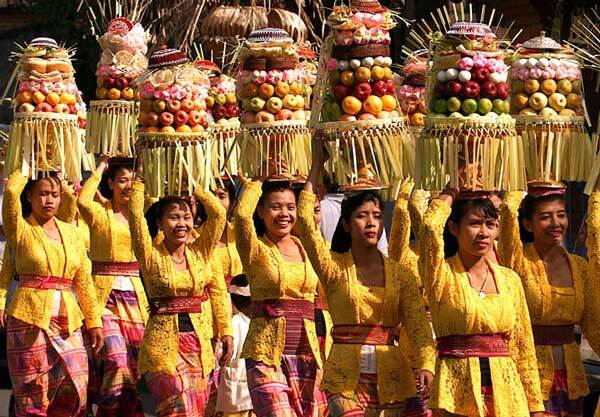 Beside famous for its natural beauty, Bali also famous for its unique culture and art. Bali which has Hindu as the majority religion, has some religious ceremonies which cannot be seen in any other provinces in Indonesia. One of them is Ngaben. Ngaben ceremony is a ritual which held to send the dead body to the next life. The dead body is put like he/she is sleeping and the family members would consider him/her to be one. There is no tears or crying because the dead body will be temporary disappear and believed to be have a reincarnation. Another unique tradition is Nyepi ceremony. In this day, all Hindu people are forbidden to involve in any activity for 1 day full, including prohibition to have fire/lights, to be on trip, and to have entertainment. During Nyepi holiday, pecalang (Hindu/Balinese security institution) is alerted in all Bali area to control if any of Balinese who is not obey the rule in the Nyepi holiday. During Nyepi holiday, all activities are stopped for 1 day full, including in the harbor and airport. i like this post. it was a good read.